Served in the Army Quartermaster Corps during World War I. He later as United States Ambassador to six different nations. He died on March 28, 1950 in the crash of a military transport plane while enroute from his post as Ambassador to Canada to New York. He was buried in Section 30 of Arlington National Cemetery. 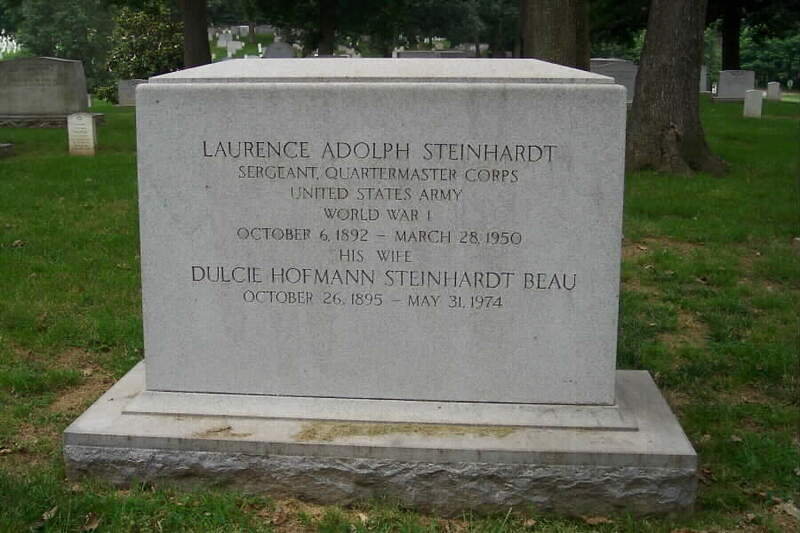 His wife, Dulcil Hoffman Beau Steinhardt, is buried with him. A native of New York City, Laurence Adolph Steinhardt served in the U.S. Army during the First World War. Under President Franklin D. Roosevelt, he served first as Minister to Sweden, then Ambassador to Peru, before being appointed to the Soviet Union less than six months before the start of the Second World War. The German invasion of the Soviet Union in 1941 prompted the evacuation east to Kuybyshev (today Samara) of foreign embassies. 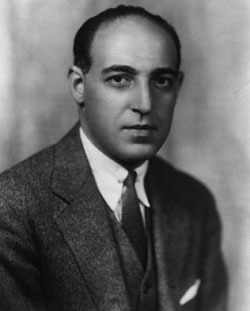 Steinhardt departed for Kuybyshev in late 1941, leaving Second Secretary Llewellyn E. Thompson in Moscow with a skeleton staff. 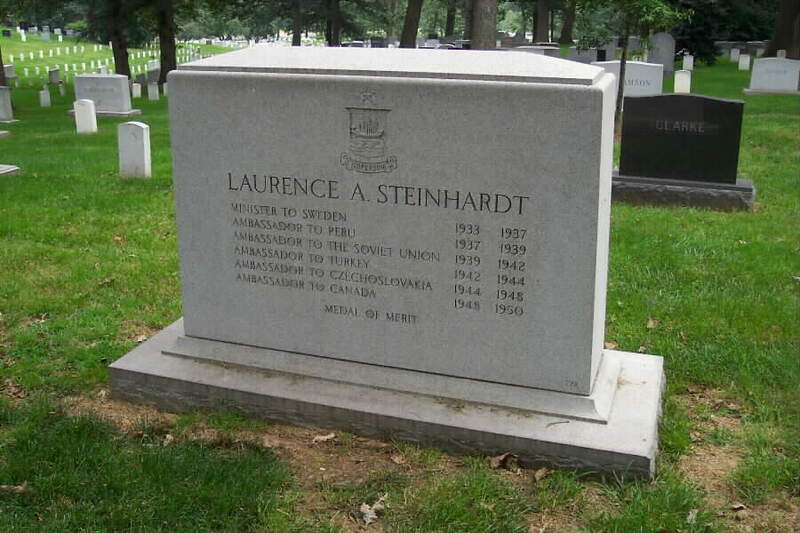 After leaving Russia, Steinhardt served the remainder of the war as Ambassador to Turkey. Later President Truman appointed him Ambassador to Czechoslovakia, and then Ambassador to Canada, where he died in a plane crash. Steinhardt served during a difficult period, during the time of the Hitler-Stalin pact, the German-Soviet division of Poland, the fall of France, and the lead-up to the Nazi invasion of Russia in 1941, when the United States was still formally neutral but quietly aided Great Britain. In June of 1941, immediately after the German attack, President Roosevelt promised military aid to the Soviet Union.